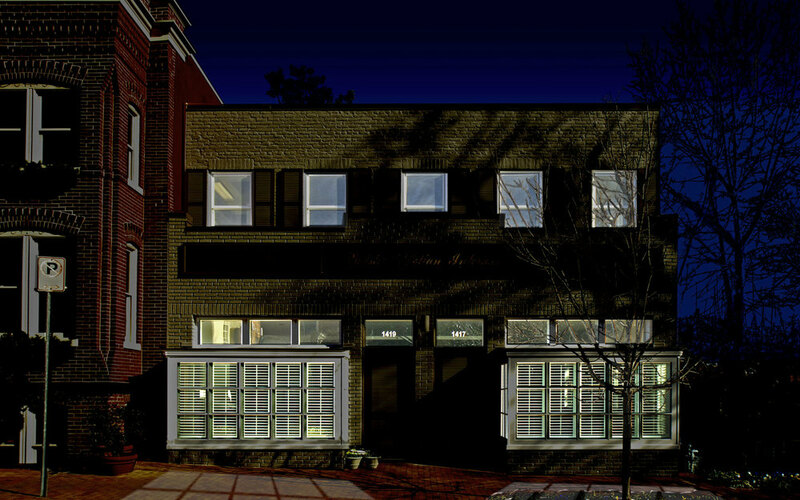 Renovation combining two historic storefront spaces converted into single family residence. A serene, white interior contrasts the red weathered exterior of the 150 year old building. Two front doors were retained on the street side as a memory of the two prior retail occupants. Upon entry, the user finds that they open onto the same entry of the living room and dining area. Walls were surgically removed to create singular expansive spaces filled with mulitple uses. A large roof mounted skylight permits the natural light to flood through the open tread central stairwell and into the adjacent spaces.